Water is one of the essential things in life, nobody can do without it, we use water both in towns and villages to do almost the same thing. Water which is suppose to be the primary responsibility of the government is not so in Nigeria, for you to get a clean and a drinkable water you must be careful as to where this water is sourced from and that brings us to pure water production process and how to start a pure water business in Nigeria. Pure water is a commodity in Nigeria that is always on a high demand, everybody needs it and that is why some private individuals are putting so much effort in making clean water available by setting up pure water production business. 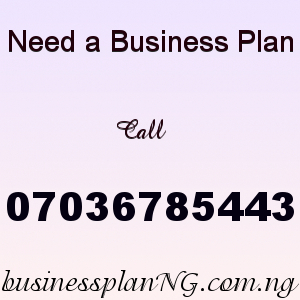 Pure water/bottled water business in Nigeria is a very profitable business and that is why it is very important that before you go into this business you must have all the facts which is a good pure water business plan that will give a clear feasibility report on pure water business. Pure water business in Nigeria is very lucrative and you can set u your own pure water business and start making your own profit with our rich and up-to-date Pure Water feasibility Study and Business Plan. The profit of pure water business is so much that even retailers of pure water/bottled water are making so much money from sales of the product but we all know who is making more profit from it, the wholesalers. There are lots of things to consider when starting a pure water production business and some common ones are, Production site, which is the land, Production equipment and machines needed like distillation system, automated form and seal machine, micro filters, cup filters ultra violet lights etc, Start up capital and so on. To start pure water production in Nigeria is not a child’s play, it is capital intensive and the profit you would make from this business is also very huge. Water as we all know is the most consumed natural resources in the world, its consumed by the rich and poor on a daily basis so investing in this business is not a bad move but a good one. One good thing about this business is that pure water is not expensive, its sold for N10 anyone in the street can afford it and in the dry season the demand for water is tripled. One key aspect of this business is to get NAFDAC Approval. The National Agency for Food and Drug Administration and Control (NAFDAC) is a Nigerian federal agency which is under the Federal Ministry of Health responsible for regulating and controlling the manufacture, distribution, advertisement, importation, exportation, sale and use of foods, drugs, cosmetics, chemicals and pure/bottle water in Nigeria. After you have made payment for your PURE / BOTTLE WATER BUSINESS PLAN IN NIGERIA, send your email and payment details to 07036785443.